Amy Sherman has a nice apartment in Manhattan, a good job as publicity director at a publishing company, and a decent social life. Then she runs into Tara Messer, prom queen and Amy's ex-best friend. It's been four years since Tara stole Amy's fiance, and Amy swore she'd stop playing second fiddle to spotlight-hog Tara. Or so she thought. Tara, now married to the man who broke Amy's heart, is a lifestyle guru with her own book deal-and Amy gets tapped to be her publicist. 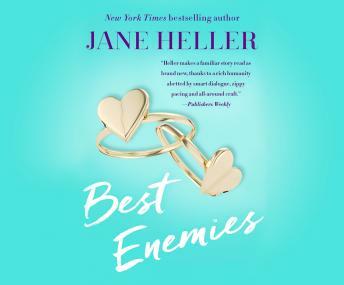 When Amy enlists a commitment-phobic mystery writer as the pawn in her game of payback, she stumbles on the surprising truth about Tara's lifestyle and her own fears about falling in love.